Hi Friends, Here We Are Back With A New Paytm Freebie Contest In Which You Have To Register And You Can Be The One Of 10,000 Winners In This Contest to Get New Maggie Masala of India Gift box. This is the new contest from PayTM In Which You Have To Just Register And You Will Get A Chance To Win A Maggie Gift Hamper In Association With Paytm. 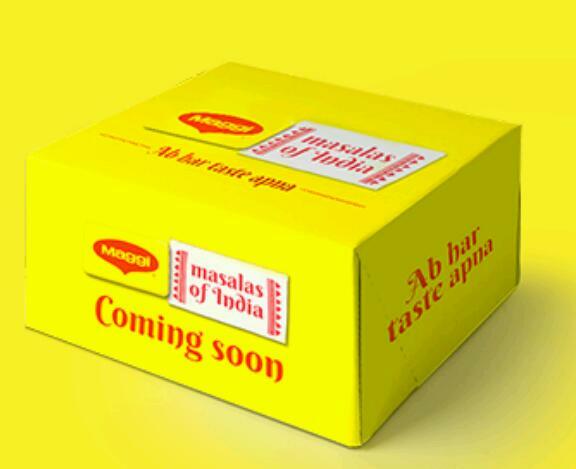 It Will Be Having 12 Maggie Packets With 3 New Favours × 4 Packets Of Each Flavour Which Maggie Is Gonna Launch This Coming Week. So Why Not Just Give It A Try As Its No Harm For Just Registering. You Can Even Pre-Book A Box Worth Rs.240 And On Pre-booking You Will Get A Cash Back Of Rs.41 Too. So It’s Cost would Come To Be Rs.199 . So just Register and test your luck . 3. Tick Mark On Accept Terms And Conditions . – This is a pre-booking offer. – Sales & shipping starts on 23rd April 2017. – Seller does not allow cancellations and returns on this product. – The pack is exclusively available on Paytm & Paytm Mall app.